The numbers are in. 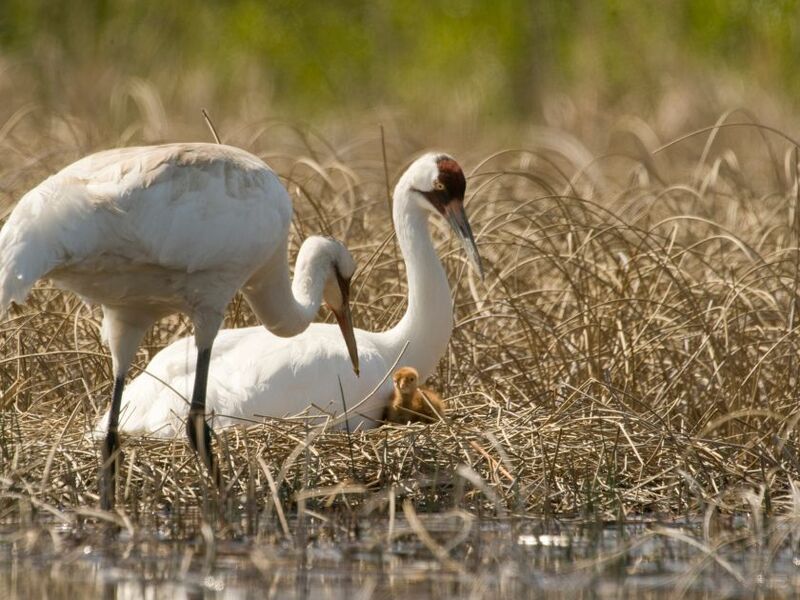 This August, 24 whooping crane fledglings were counted in and around Wood Buffalo National Park. Kindopp stressed the weather may be just one contributing factor. “Another factor could have been local predation cycles. In other words, there may have been a greater number of predators in the area than in previous years,” she said. Breeding pair surveys are done in mid to late May over 4-5 days with a crew of 2-3 made up of Parks Canada staff and Canadian Wildlife Service biologists. Breeding pairs normally use the same territory each year to build their nest and raise their chicks. Knowing where the cranes nest helps make locating the adults and juveniles a bit more successful. Following further examination of the data, this year there were 87 nests in and around Wood Buffalo National Park. Up one from the 86 nests that were originally reported in May. The fledgling survey is done in between the end of July and mid-August. Fledglings are birds that have reached an age where they can fly. The technique for this survey is very similar to the breeding pair survey. The nest locations are known so that the staff can fly directly to the nest. If the Whooping Cranes have not been successful in raising a chick they may still be in their territory or they could be kilometers away. If a pair does have a chick, they are generally found fairly close to their nest. 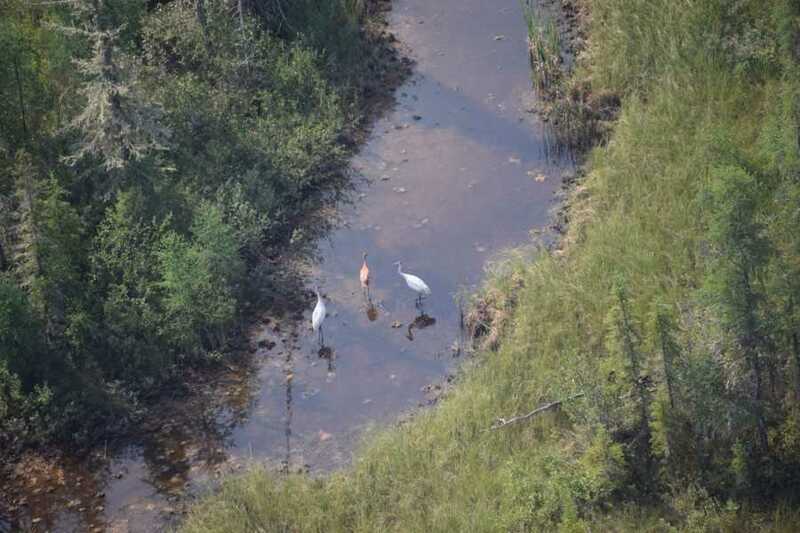 Both the Nest and the Fledgling Surveys are part of the world-class restoration plan that has made the endangered Whooping Crane an international success story and symbol of species recovery and conservation. By counting the number of fledgling chicks, Parks Canada, Canadian Wildlife Service, US Fish and Wildlife Service, and others gain important insights into the health of the world’s last remaining natural nesting flock of Whooping Cranes that contribute greatly to our ongoing stewardship of these magnificent birds. 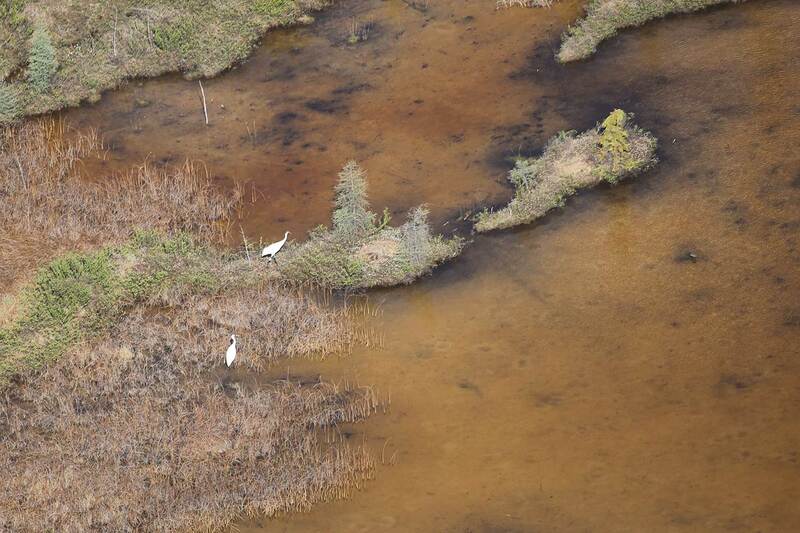 WBNP and nearby areas provide the last natural nesting habitat for the endangered Whooping Cranes. The birds are hatched in and near WBNP each spring. After they fledge they migrate 2,500 miles to their winter habitat on, or near the Aransas National Wildlife Refuge on the Texas coast. During their 2,500 mile migration they stopover 20 to 30 times to rest, forage for food and roost during the nights. Then, the following April the total population returns to WBNP to repeat the reproduction cycle again. Two prominent water scientists say a debate over Canada’s largest national park has become politicized and industrial development is being blamed for changes it didn’t cause. Brent Wolfe of Wilfrid Laurier University and Roland Hall from the University of Waterloo say B.C. Hydro’s Bennett Dam on the Peace River has had only a marginal effect on northern Alberta’s Wood Buffalo National Park. After 20 years of research and nearly two dozen published papers, they conclude climate change has been drying out the world’s second-largest freshwater delta for more than a century. And that there may be nothing anyone can do about it. Their conclusions are disputed by the author of a report done for the federal government, as well as by another leading researcher. Wolfe and Hall criticize the 561-page study that was done in response to concerns the park’s environment has deteriorated, which potentially threatens its status as a UNESCO World Heritage Site. The study concluded that 15 out of 17 measures of environmental health are declining in the area, mostly because of lower river levels and fewer floods to replenish lakes. It said industry and dams, as well as climate change and natural cycles, are behind the problem. 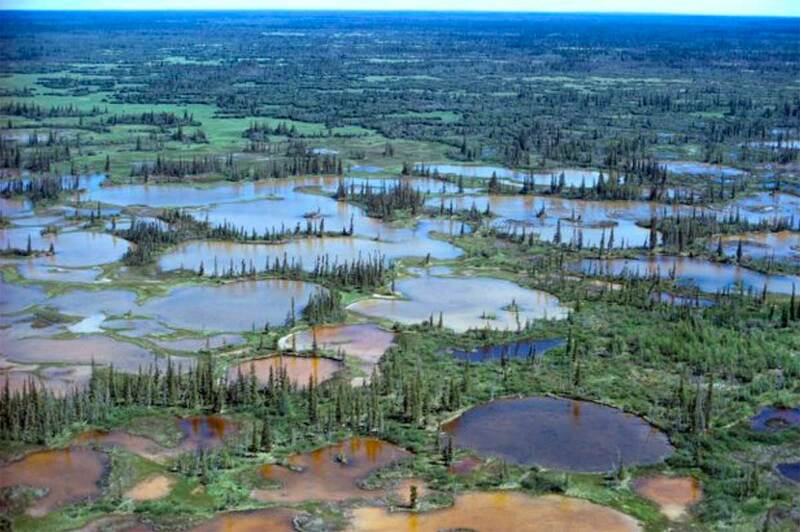 Wolfe and Hall say sediment cores in area lakes show that the Wood Buffalo region has been drying out since the early 1900s. 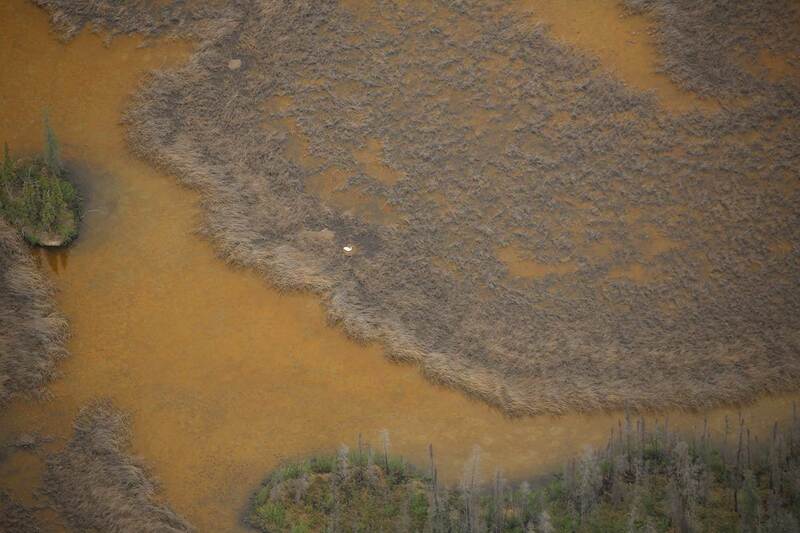 “Friends of the Wild Whoopers has read the following article about Wood Buffalo National Park and it is disturbing. Over the past couple of years we have read other stories claiming serious environmental problems on or near Wood Buffalo. 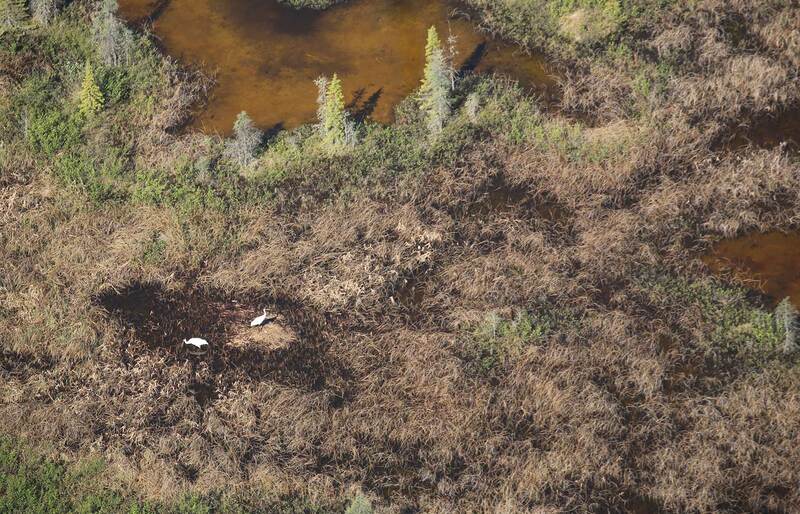 We have been advised by Canadian officials that these problems do not affect the endangered Whooping Crane nesting area. Now we are hearing otherwise. We will continue to monitor the situation and seek the truth. The environmental deterioration described in the following reports reminds me of the tremendous problems that have been caused over many years to the Mississippi River ecosystem by United States government agencies. The Whooping Crane images below, were taken during the recent Whooping Crane Nesting Survey on Canada’s Wood Buffalo National Park, (WBNP). Friends of the Wild Whoopers thanks the good folks at Wood Buffalo National Park for sending these fantastic photos to us so we could share with you. Be sure to click on each photo to enjoy and take in the beauty of WBNP’s nesting grounds at full size. Adult whooping crane incubating eggs. © Photo by Parks Canada and Canadian Wildlife Service – L. Parker Click photo to enlarge. Nesting pair of whooping cranes and nest © Photo by Parks Canada and Canadian Wildlife Service – L. Parker Click photo to enlarge. Nesting pair of whooping cranes and nest with two eggs. © Photo by Parks Canada and Canadian Wildlife Service – L. Parker Click photo to enlarge.